Well the eyes aren't quite a smokey and the lips aren't as glossy! :) But basically, this is a pretty classic look and I've had some questions recently about what kind of blush and eyeshadow to pair with red lips. You could really go quite bare on the eyes and still look "finished", but I did choose to define them with liner and add some understated shadow. And the cheeks are kept pretty subtle- no major pop of color there, just a little peachy boost. Here's what I used to get the look! -Cover Girl Clean Whipped Creme Foundation (Buff Beige) - I applied this with my Soho Blender sponge from Walgreens. I dampened the sponge and it gave the foundation a more natural look. -ELF High Definition Undereye Setting Powder - this actually has glitter in it. In person it does make my undereye area appear somewhat shiny. not a big fan of this. -L'oreal Power Volume Collagen Mascara -I was watching MissCrystalMakeup's April Favorites and she mentioned loving this mascara after it dried out a bit. I remembered, hey, I have that mascara! Definitely like it better than I did when I first got it. Thanks Crystal! -Revlon Lip Butter (Wild Watermelon) -New shade!! I LOVE it. Such a juicy red, and not as heavy/opaque as most of my red lipsticks. The star of this look! -NYX Retractable Lip Liner (Red) -didn't fill in the lips with this color- just added a little extra definition after applying the Lip Butter. Just spotted a spider. eek! Gonna find Cupcake to take care of it. I have new self-tanner to try! It's from tarte. I'm craving a slush of some type... something cool and refreshing! your posts are always so detailed and informative! you inspired me to start a beauty blog! I love my hot buns (so many funny things could be said here)! I picked mine up around the same time you did. My hair isn't quite as long as yours so I have to use the smaller of the two. I really like it much better than the the connair donut thingy I used before. Love that wild watermelon! Gonna have to pick that one up! So pretty! Love this look!! And for the record, I would watch a video every day if you posted that many! Me too! I love you Emily!! I'd "follow you" to the end of the earth! You're videos & blogs are something I look forward to daily. It's my Zen Em time and love it all. You're so classy and real, it feels like a girls chat with a best friend. Keep 'Em comming! I don't know about anyone else, but I will watch your videos as fast as you can put them up! Loving the bun and the red lips. Never too many videos. 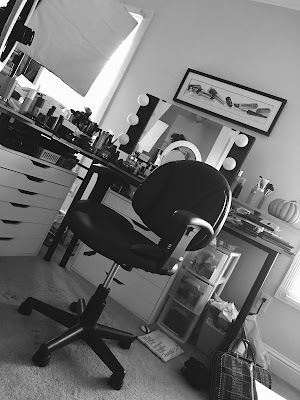 I love watching you because you are not a professional makeup artist (which makes me think "I can do that") and not "ate up" with MAC and other high end products. FYI - The NYC Applelicious Lip Balms are fantastic! 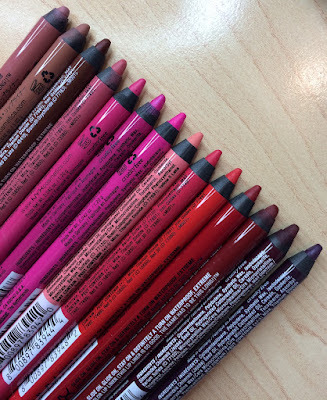 You should try them out if you're looking for a sheer look on your lips. How do you like the Soho sponge? i agree with everyone else...never too many videos!! LOVE all you stuff!! I wouldn't mind if you did a video every day! I'm always on the lookout for a new one. Want to try a few products from this blog post. 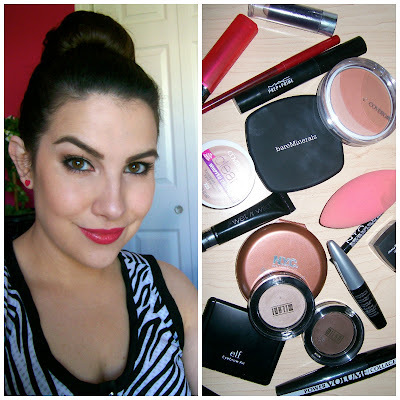 Where did you find the new cover girl products? I looked at my Target the other day and they weren't there yet. Me too, I will watch as soon as u put them (ur vids) live. Love the bun & lipstick on u! How are you liking the Bare Minerals foundation? Looking for a easy cream foundation but, I have dry skin. The lip butters that I have tried do not give me much color will have to try the brighter ones. I can't wait for a review on the tarte self tanner! I have purchased it just not had time to use it lol looking forward to a video on it!!! Have a blessed day Emily! Emily- Keep the video's coming! I check daily for new ones from you, as I do blog posts. I CAN'T be the only one that does this. More, more, more!!! It looks as if the Wild Watermelon Revlon Lip Butter would be good for those that fear a full on red lip. I hope you do a video on the Hot Buns. Even in their TV commercial, it appears like it would be hard to hide where it connects back to itself. I'm scared of red lips, but that looks so wearable! Putting that on my wish list for sure! And another vote for "no such thing as too many videos!" I recently found you, and as an almost-30 year old mom of four who is just now really learning HOW to wear makeup, I have so enjoyed watching your videos. You have helped me so much, THANK YOU! I love Wild Watermelon! It has been my go to color for spring :). The Hot Buns looks really nice, I will have to give it a try. For me the videos don't come out fast enough:)all ways checking my Youtube to see if you have a new one up! You make that lip butter look to die for! Love the look Emily! I would love it if you could get your videos out daily, the first thing I do when I open Youtube is check to see if you have another amazing video out! Love you xo Sydney! I would watch a video every day as well because I learn so much from them. And my husband is always asking about Cupcake so I give him an update every time I see your blog or videos. I looooove your videos...ill watch them as soon as you do them too! Yay! Loveeee this look !! OMG, sooo pretty :) haveee to buy revlon lip butter now.. totally convinced! I pretty much stop what I'm doing to watch your new videos, so more, more, more!! You never make videos too fast for us! Keep them coming! You could never post videos too fast for me! I say keep em' coming! And love the bun! If you like making the videos, keep 'em coming. I love that you're one that frequently updates and I look forward to seeing your face several times a week. I think it also gives more options to viewers. For example, I really like the tutorials and reviews (we have the same taste in mascaras!) but other people really like hauls. I'm interested in hearing your thoughts on the Tarte self tanner. I've almost ordered it on QVC a bunch of times but was hesitant because no one talked about it. Also, you saved me from getting the ELF undereye setting powder. I was going to order that too but not if it has glitter. Emily what products are we going to need for tomorrow's get ready with me broadcast? How do you like the Soho sponge? I bought it before my BB and have found that it is good, just not as good as the BB! Love your vids and posts have a wonderful day! Emily - I just read the remark you put that you put out videos faster than people can watch - Not for me, Sister! Of course I'm still catching up as I just found you - but I'm always looking for the new vids. Keep them coming!